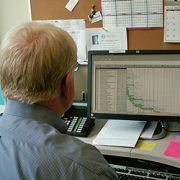 RPMI has been providing CPM Schedule Delay Analysis to contractors, owners and legal teams since 1989. Because one of RPMI’s principal services is building and maintaining CPM schedules for owners, builders, and designers, delay analysis and expert witnessing are logical extensions of this service. RPMI’s scheduling personnel are specialists in analyzing impacts to time or scope, and have been providing Contemporaneous Period Analysis / Windows Method / Data-Date analysis on active projects to avoid litigation and on claim projects, to assess and testify as to the origin, causation, and resultant effect of impacts on delayed or distressed projects.